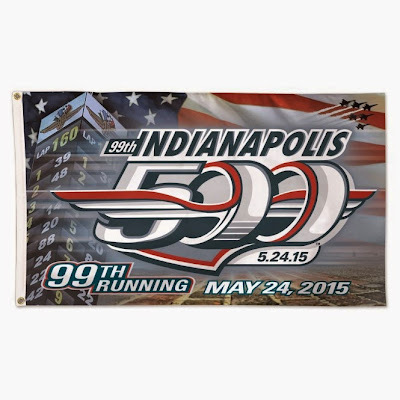 I still enjoy watching the Indianapolis 500 (the 99th running is Sunday, May 24th, 1pm ET, ABC) but have been disappointed in recent years because the reason the 500 first came into existence- and all auto races, for that reason, has gone away. But there is a way for it to have a revival, and I have no idea why it hasn’t happened yet. As cars and companies got better, the competition increased. The best way to back up a claim that your car was the sturdiest/fastest/most reliable was to win a race. The longer and the more involved, the better. 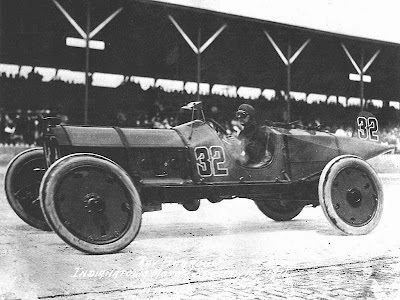 At the time Indianapolis rivaled Detroit as the car capital of America. Both places were heavy manufacturing cities that made quality product and both were extensive rail hubs. It made sense that a big track would be built somewhere. Auto parts manufacturer Carl Fisher wanted the best track to be in Indianapolis, so he made it happen. The Indianapolis Speedway was built precisely to be the best racing track in America- for anything. The first “race” at the speedway was a hot-air balloon trial. The first machine race was motorcycles. Fisher wanted it to be a proving ground for any motorized transport. The races got longer and longer. That a race eventually went 500 miles was inevitable. It proved that a car could run at speed, at high RPMs, fairly continuously for that amount of time and that many miles. 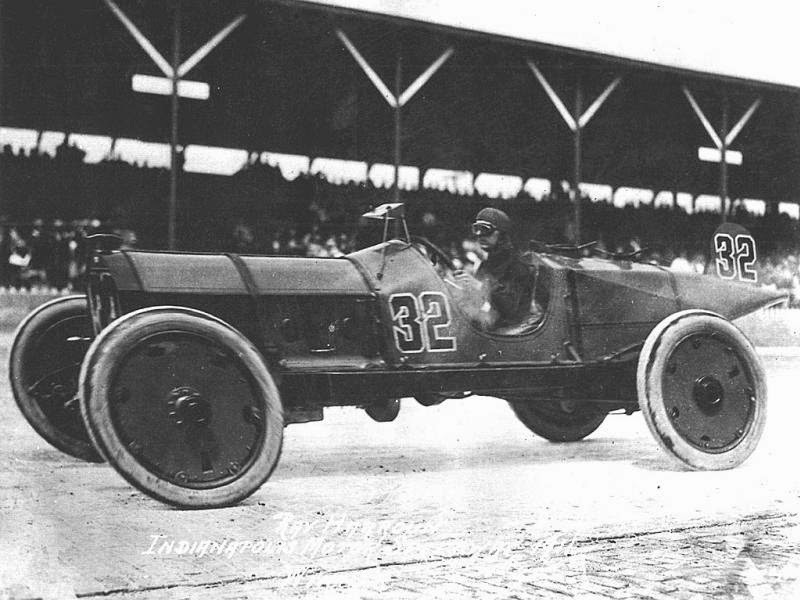 Auto races, and the 500 in particular, then became the place to test new innovations in cars. It’s well documented that the first rear-view mirror was on Ray Harroun’s Flying Wasp, the first winner of the 500 in 1911. He had it installed because he didn't have a riding mechanic like every other car in the race to see what the other cars were up to. Turbochargers, seatbelts, specialized tires, the list goes on. If it wasn’t invented for the 500, it was quite often perfected there. If it’s a mechanized part of your car, chances are it- or the manufacturer it comes from- came to prominence in Indianapolis. See what's right above the #32 and in Harroun's sightline? As the cars in the 500 got more and more specialized, factory-built racing gained a following as well. Take the car off the showroom floor and see what it can do. That, in addition to moonshiners, is how NASCAR got started. The phrase “Stock Car” is part of the acronym NASCAR, but that’s about the only stock part left in the circuit. So now that races of all kinds are miles and miles removed from where they originated 100-plus years ago, why not return to the origin of races for the next generation of cars? In other words; why is there not already a series of races exclusively involving electric cars? Why is there not already a series involving alternative-energy vehicles? If somebody wants to prove that the propane car is more feasible and better than an electric car, have them race each other in a controlled environment- you know, a racetrack- for 500 miles. The innovation part is also due for a revival. Right now a Tesla battery can last about 250 miles. Wouldn’t a series of endurance races force the Tesla engineers to experiment in much better and more effective ways than wind tunnel tests and running a car up and down an abandoned airstrip? Google says they have an electric car, they’d like to think it’s better than a Tesla. Hell, Google wants to show that the driverless car is the way to go. In the words of Jack Palance in Shane: Prove it. Have a regular Tesla race a Google driverless car for 500 miles. Like you wouldn’t watch that. A series of alternative-energy vehicle races would also allow the small players to compete with the big boys. An entry fee is an entry fee. If you can pay it, you’ve got a team in the race. Like Indy 500s of years past, those races would speed up innovation and the public would again be the benefactor. Not to mention that many of those who question alternative-energy vehicles would be won over. The next Henry Ford is right now making an alternative energy vehicle in her garage. She’s got ideas that will revolutionize the industry. But she can only afford to make a few prototypes. She needs that opportunity to get it out front of the public and find some Shark Tank-like investors. She needs a race that she can win. Which racetrack will give her- and the other inventors- the chance? Carl Fisher would be angry if it happened anywhere else but his place. 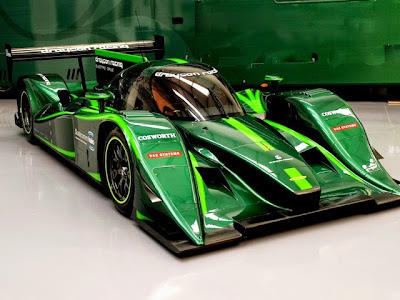 Oh, it's green because it's an electric race car. I get it now.